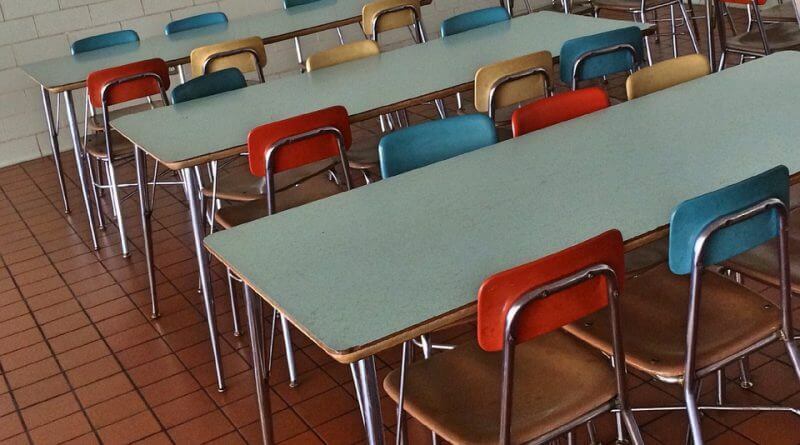 More than 50 teachers and school employees are losing their jobs and catering staff are to get a pay cut this year as budget reductions bite. Papers seen by the Derbyshire Local Democracy Reporting Service reveal that teachers, teaching assistants, cleaners and IT technicians are among the targets for either compulsory or voluntary redundancy. Meanwhile, 952 school catering staff are set to see their hours reduced, reducing their monthly pay packets by up to almost £100. The report by the Tory-led Derbyshire County Council shows that of the 17 schools set to make staffing cuts over the current year, 14 cite “annual budget deficit” as the reason for the redundancies. Of the 51 staff being let go, 13 are teachers taking voluntary redundancy; 19 are support staff also taking voluntary redundancy; and 19 are support staff – such as teaching assistants – who are the victims of compulsory redundancy. Some staff members are taking earlier retirement and many of the employees are in and around their 60s; however some are in their early 20s. In addition to the 51 staff members losing jobs, 19 are opting to reduce their contracted hours as an alternative to redundancy, in return for one-off payments from the council. The maximum reduction of hours is equivalent to two days per week, and no payment can exceed £5,000. The combined cost to the county council of redundancy payments and the buy-out of hours is £378,375. Meanwhile, schools themselves will have to foot the bill for pension shortfall payments, which total £100,162. The report states: “Over the last few years, additional cost pressures on school budgets have created financial pressures for Derbyshire schools. “The schools listed in this report have explored measures to reduce a number of heads of expenditure but it has not been possible to avoid redundancies. “In some cases, as a means to mitigate against redundancy, reducing contracted hours through a buy-out has been achieved. “Children’s services’ HR services has supported affected employees in seeking suitable alternative employment and will continue to do so until the redundancies take effect. Labour county councillor Jim Coyle feared for the impact that the cutbacks could have on the quality of teaching for the next generation. He said: “We have been saying for many years that this government is severely underfunding our services – including schools. Meanwhile, a report on reducing the number of hours which catering staff are allowed to work by eight per cent is also being presented to the county council. This would see catering supervisors – or dinner ladies as they often called – currently working 37 hours a week earning around £97 less each month; and those working 30 hours would earn almost £80 less. There are 952 catering staff employed by the county council. In June, the authority increased the cost of school meals for the first time in three years. Under the changes, the recommended cost of primary, nursery and special school meals went up by 10p to £2.10 and the price of secondary school meals rose 5p to £2.88. The meal price changes were made as a result of the increasing costs of supplying 60,000 meals each year while maintaining high quality food options. The county council says that the cutbacks to catering staff hours come as a result of “rising food and labour costs”. It states: “Since 2010, the catering needs of schools have significantly changed with the delegation of budgets to schools and the introduction of the academies programme. “The buy strategies of these more commercial operations focus heavily on maximising resources to ensure every pound is used efficiently and effectively to improve standards and have maximum impact for their pupils. “Recent years have seen the education catering market become increasingly competitive, with a growing number of multinational private contractors and sole traders vying for business. To help speed up the process and make up for the fewer hours which staff will be working, the county council aims to buy in “modern and increasingly efficient technology” such as dishwashers and combination ovens. Cllr Coyle claims that the school meals service had a surplus of £360,000 last year. The report states that without revising staffing hours, the service would have a deficit this year of £381,000 which would increase to £1.4 million next year and £1.7 million by 2020. He said: “It’s hard to believe that any cabinet could be so callous. “The school meals service made a £360,000 surplus last year and are putting school meal prices up in September. No spokesperson for the Conservatives was available as of this article’s publication.